The South African-raised, Ottawa-based author discusses tackling social and political issues in her books. Ottawa-based author Kagiso Lesego Molope was raised in South Africa and her experience living in the post-apartheid era of the country inform her work as a novelist. 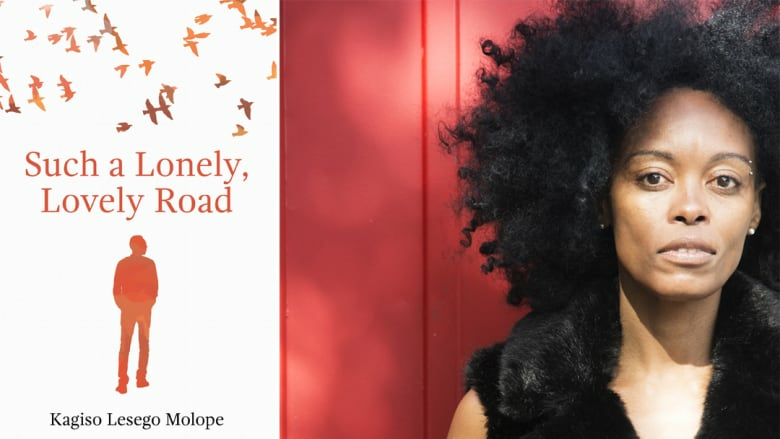 Her latest, the novel Such a Lonely, Lovely Road, is the love story of Kabelo and Sediba, two black men coming of age in South Africa of the 1980s. "When I started writing, publishers in South Africa were hesitant to publish writers who wrote about apartheid. But it was important for me to state that I'm a post-apartheid writer. It is what I am writing about at this time. I was not going to leave those experiences out of my work." "In South Africa, we've lived in such a divided country that we don't have much information about each other. There are things people were taught in schools about who 'the other' is. A lot of people have never been to a township — where I am from — and all they know about the township was stories they heard in the news or were taught in school. There are a lot of assumptions that come out from not knowing each other and not interacting with each other. That's what tended to happen in South Africa." "There is definitely a culture of forgetting in South Africa. It's almost as if everything wrong with the country started post-apartheid started in 1994, which is not true of course. I feel very strongly that we are the ones to tell the stories of of that period. If we don't tell them, they will be lost." Kagiso Lesego Molope's comments have been edited for length and clarity.